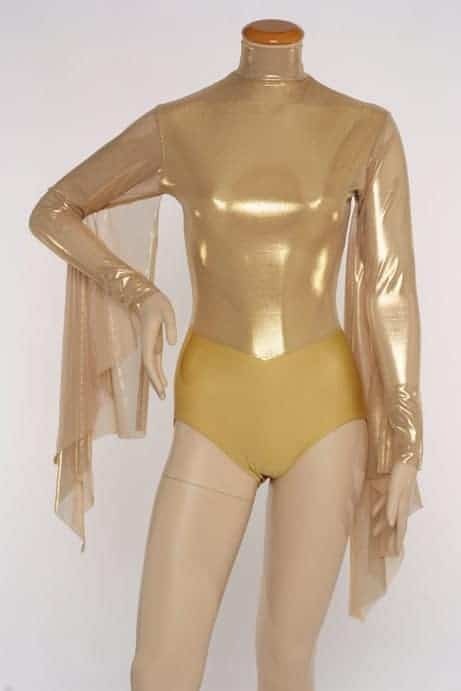 Gold Cherubim Leotard / Gold Metallic Mesh Over Gold Leotard Body with Metallic Mesh Sleeves and Wings. Excellent for Praise or Worship. This Leotard was Inspired by the Two Cherubim Angels on the Ark of the Covenant. 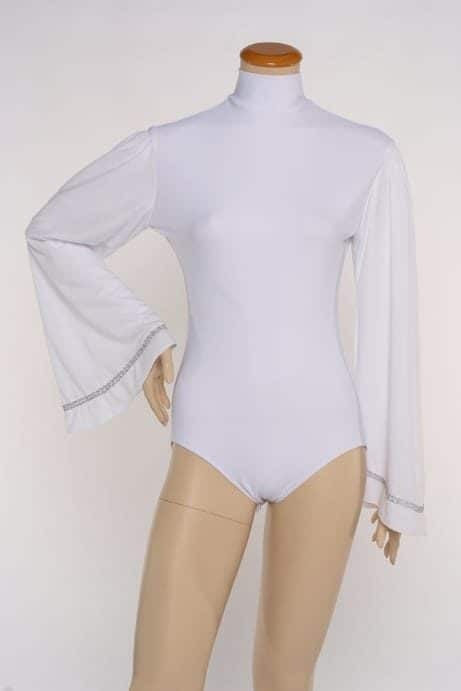 SKU: LD-124G Category: Leotards Notes: This Garment should be Only Hand Washed due to the Metallic Content of the Fabric. All of our Leotards have Snaps in the Bottom of the Leotard.